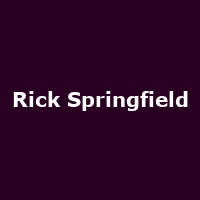 Rick Springfield is an Australian singer, songwriter and musician - a member of the late '60s band Zoot. Rick relocated to America in the '70s when Zoot split, starting his solo career in earnest - a career which has seen him win a Grammy award as well as three other nominations. In 2013, Rick joined the Foo Fighters' Dave Grohl as part of The Sound City Players.